Lomas del Volcán is a small and cozy hotel situated on a mountainside within the property of a 150 hectare farm. 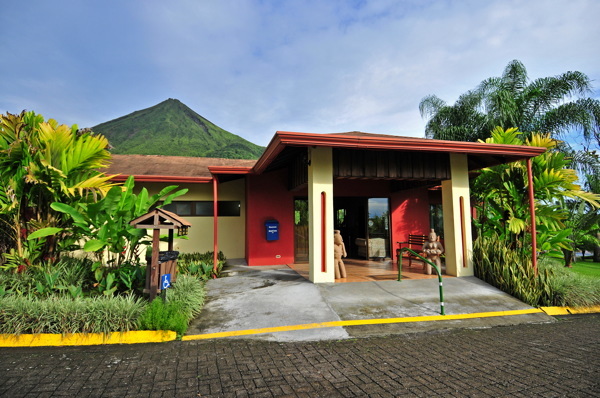 The hotel sits at the foot of the majestic Arenal Volcano, just 4 km from La Fortuna.The hotel offers thirteen spacious, rustic bungalows, finely finished. 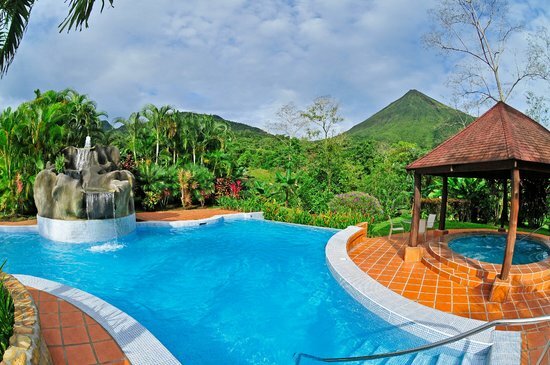 Each bungalow includes two terraces, from which you may enjoy one of the most spectacular views of the Arenal Volcano. 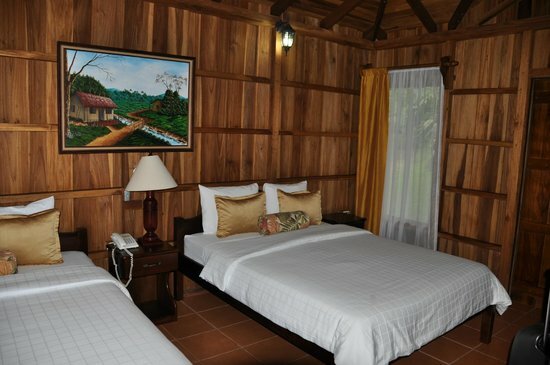 Also, you will enjoy the great variety of plants and animals surrounding you in the tropical forest. How to get to Hotel Lomas del Volcán From San José Less Trafic Route. Take the road that goes to Puntarenas and make a right in San Ramón, go through the town from east to west until the hospital, there will be a sign of Villa Blanca and Bajo Rodríguez. Keep going on that road passing by La Tigra, Chachagua to La Fortuna, then, turn to the left from east to west on the direction to the Arenal Volcano, keep driving for 2 km and then you will find our entrance at the left side of the road, then, drive 1.5 km into our farm. Total in hours: 3 ½.